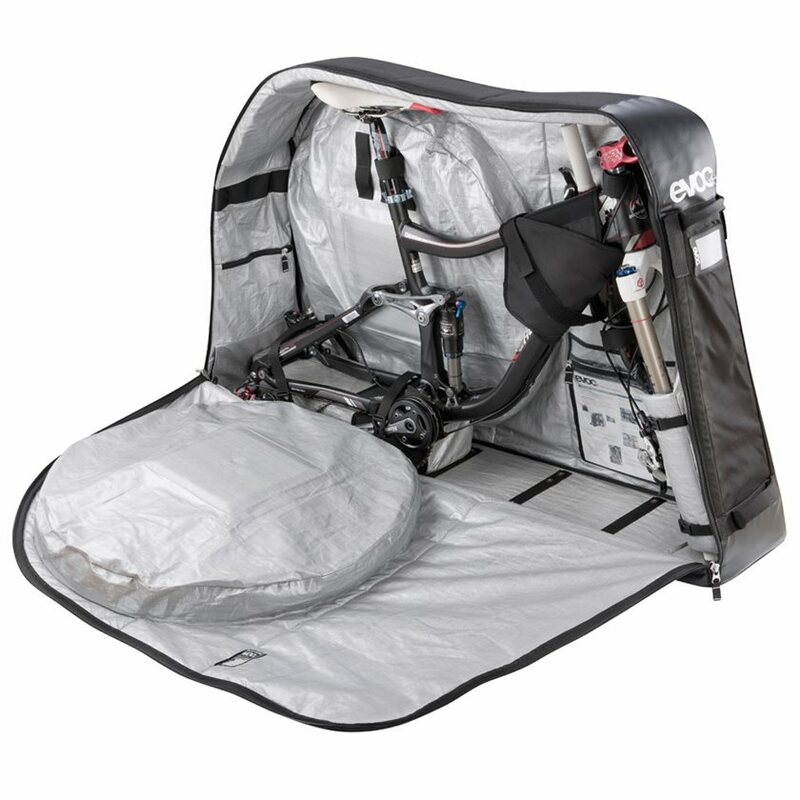 The multi-award winning EVOC Bike Travel Bag makes bike transport bag for trips by plane, car or train as easy as it gets. 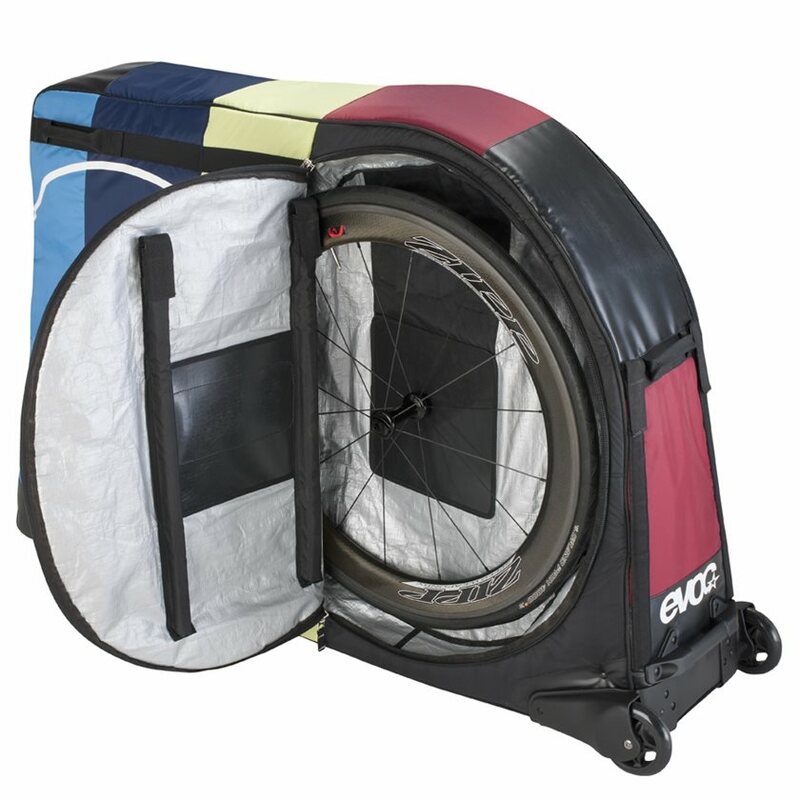 Pack your Triathlon, Roadbike, XC, DH, FR or Enduro bike €“ within minutes everything is stowed away and packed safely. All you need to do is dismantle the handlebar, pedals and wheels. 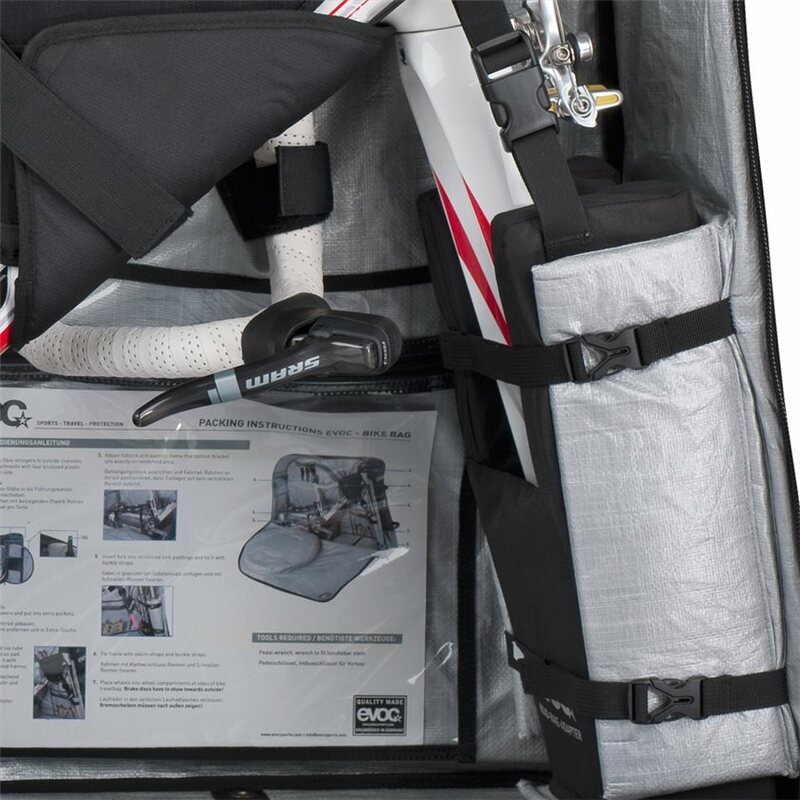 Extra storage compartments provide space for small accessories and keep everything intact when in motion and seperate wheel compartments eliminate the kind of wear and tear typical of traveling with a frame and wheels in a traditional cardboard box. 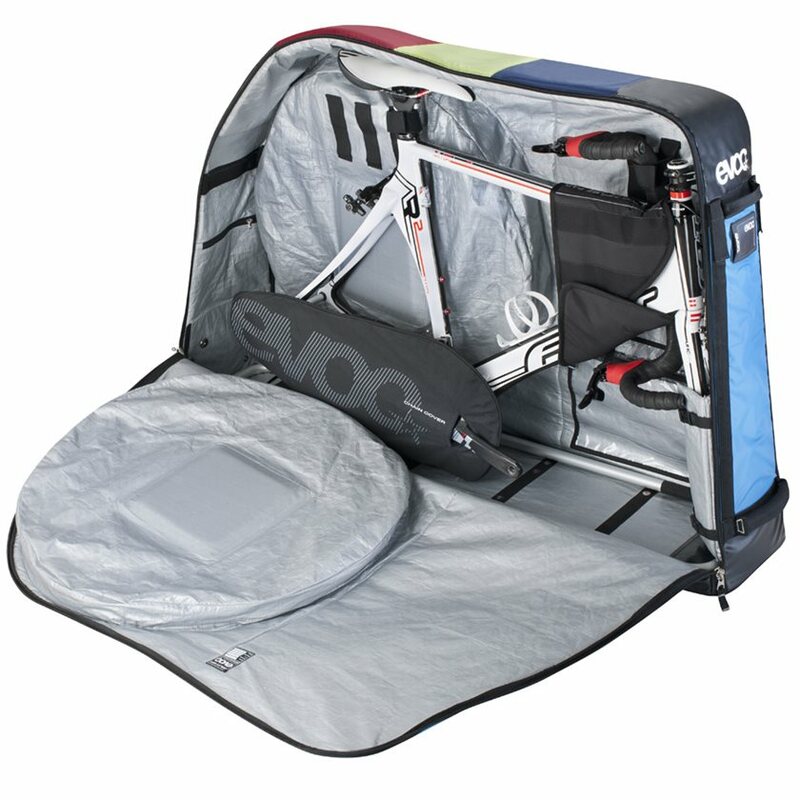 Made from rugged, wear resistant P 600/D PU coated fabric and EVOC Tarpaulic, the Bike Travel Bag stands up to abuse and keeps your gear safe for the journey. 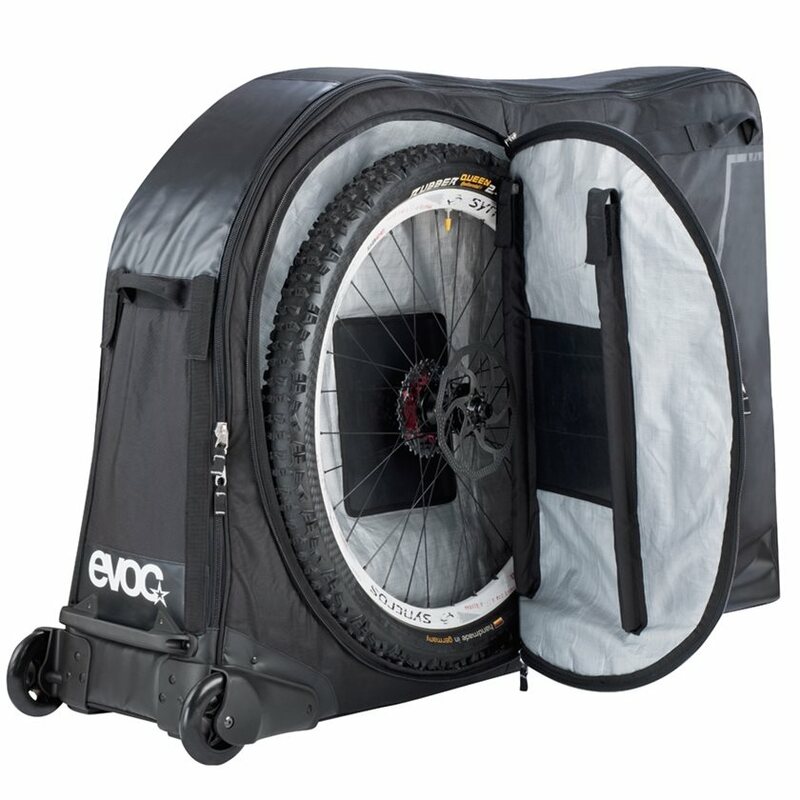 Fits most bikes, even 29ers. The bag seems well constructed when it arrived. I recently travelled to Europe with it (direct flight both ways) and the seat stays were damaged by the hubs of the wheels on both sides, for both flights. The bag design places the center of the hubs right where the seat stays are located. While there is an approximately 6 in x 6 in reinforcement in the center of the wheel storage, it is not nearly thick or strong enough to prevent your hubs from wearing through to the bike frame. I have a carbon Yeti mountain bike and now a few missing layers of carbon from both my seat stays due to the design of this bag. Note that the instructions from Evoc do not show or even hint at any suggested additional padding in this area. Additionally the wheels on one end are nice but it still is clumsy to wheel around the airport. It needs another set of wheels in the front as well. I'm sorry I bought this bag and should have opted for another bag instead. This is a very versatile bag. The inner straps allow for bikes of different sizes. I took my Santa Cruz V-10 to Whistler from California. The bag held my bike and all my gear and clothes for the trip. My only advice is to remove the brake rotors from the wheels. Even though I put them facing in, and put cardboard around them. One got bent during the travel up. The service was awesome. I needed the bike I bought shipped in this bag. They did this for me without problem and expedited the shipping to ensure it got to me before the flight. Very much appreciated. 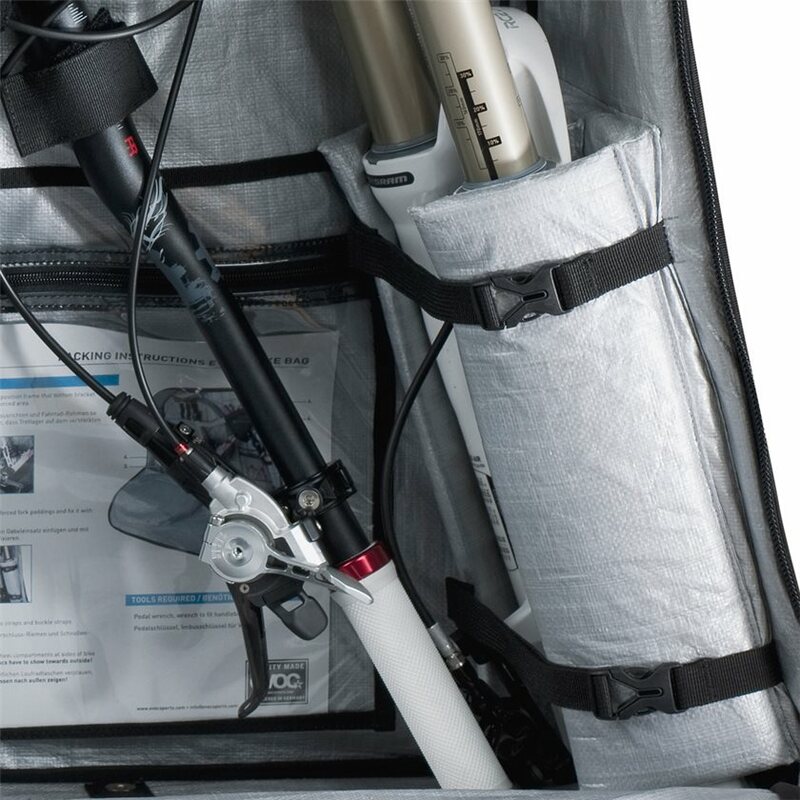 Evoc's Bike Travel Bag stands up to the beating that air travel can take on a bike bag. 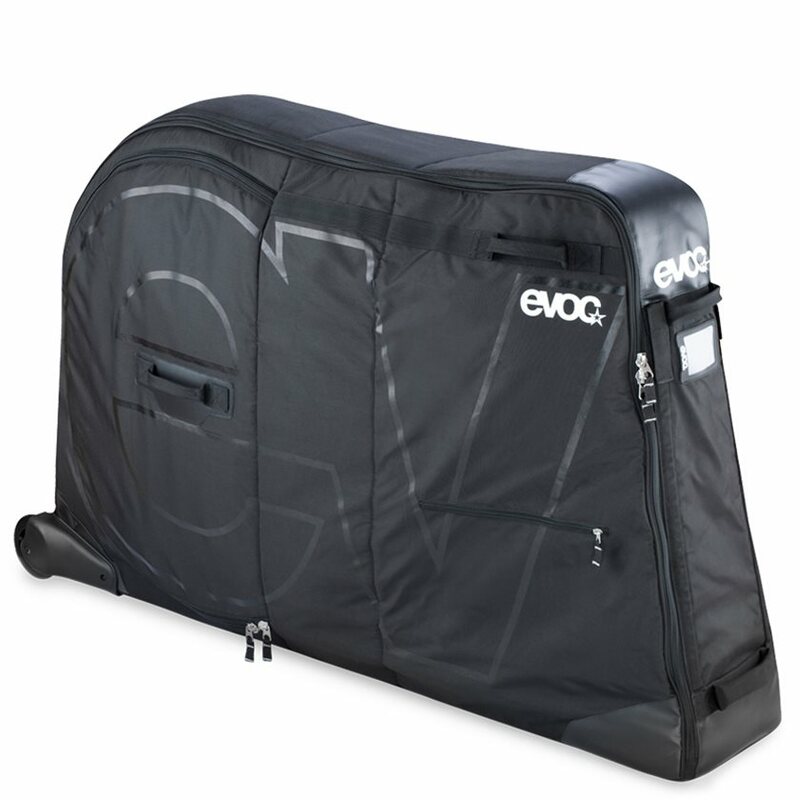 This is the second Evoc travel bag I've purchased. The first one is still going strong after a few years of travel and looking forward to where this new bag will go. The guys at Riverside Will Call are the best! we needed it that day for Scotland and they had it ready and for a great price. Can you fit 27.5 plus tires? BEST ANSWER: I have a 29er and the wheels easily fit so I’d imagine 27.5 plus will also fit without a problem.